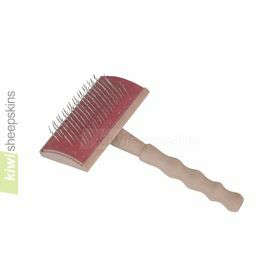 Perfect for washing sheepskin products, especially medical sheepskins and baby care lambskins, but also other items such as floor rugs and footwear. Woolskin woolwash contains a unique blend of non-ionic surfactants, a dispersant to remove oil based stains and a special blend of conditioning agents to replace the oils normally removed during washing. Further, it contains Australian Tea Tree Oil (Malaleuca Oil) which is effective against dust mite and Lemon Myrtle Oil for pet allergen. 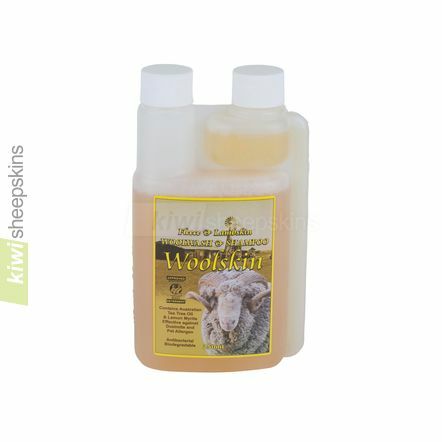 See sheepskin shampoo & wool wash information page for further details and product benefits & uses. Top Load: 20ml for small load or 40ml for large load. Front Load: 10ml for small load or 20ml for large load. 20ml for each 10 litres (2.6 gallons) of water. 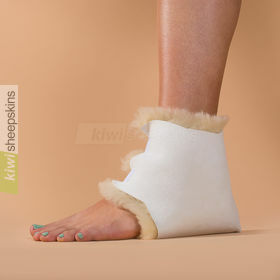 Can also be used neat for spot cleaning items like sheepskin footwear. 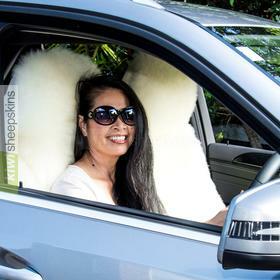 See our sheepskin washing instructions page for details. Handy 250ml (8.46fl.oz.) bottle with easy measuring chamber. Feedback relating to this sheepskin soap product. Just wanted to say 'thanks!' for your great product. The sheepskin shampoo I received this week works great. 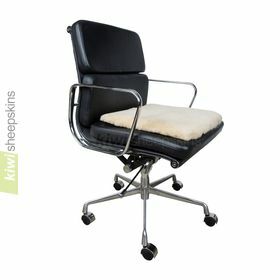 I had been trying to decide for years where to have our sheepskin cleaned. I was worried that it would turn out stiff as a board. Finally took the plunge and the results were fabulous! It is so soft, smells so nice, truly good as new. It was a gift to my daughter from her godmother, so is very special. Thanks again!!! Hey, I just wanted to let you guys know that I'm very satisfied with the lambskin/wool wash detergent. I just washed my baby's lambskin with it and it turned out beautifully. The lambskin looks like new and is real soft. No problems what so ever! I can highly recommend it! Thank you!